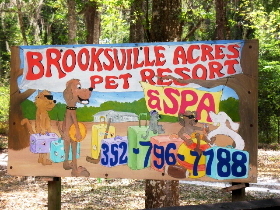 Spring Hill Brooksville Florida are locations where we provide dog boarding and kennel services. Our customers also come to us from Weeki Wachee, Homosassa, Hudson, Dade City and Crystal River Florida. For many we are conveniently on the way to the Tampa Florida Airport.